After sufficiently numbing the area, Fargo ND dentist Dr. Harr creates an opening on the surface of the tooth. She then removes any decayed tissue or bacteria. An instrument called a root canal file is then used to remove the nerve fibers and clean out infected tissue from within the thin canals. We use magnifying equipment to aid in the procedure. 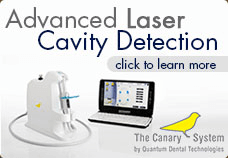 Most often, both the diagnostic exam and the root canal procedure can be completed in one office visit. For more complicated cases, Dr. Harr will refer you to a specialist.